Football fans everywhere can testify to the powerful memories one associate with football kits, particularly those worn in the most watched and iconic of settings, the World Cup. Like a piece of music or a TV show, football kits are capable of transporting us almost instantaneously back to a period of our lives, a simpler time when life revolved around finding a way to get your hands on Sampdoria’s home strip a la 1994. 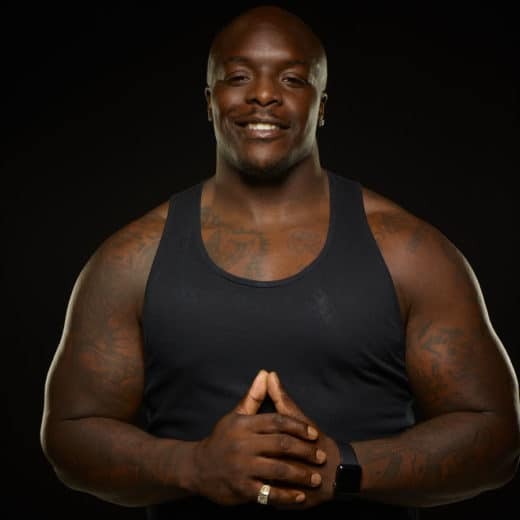 In Russia this summer we’ll see the most technologically advanced kits of all time, breathable materials, allowing air to ventilate while moisture-wicking fabrics move sweat away from the skin, while also preventing sweat soaking into the shirt, stopping it becoming wet and heavy. Another thing that has changed is a return to a more classic look, with dashes of colour and subtle design features. Ones to keep an eye out for in Russia include the Japanese home kit, Sweden’s away jersey is classic and subtle and both the home and away kits for Mexico catch the eye. Nigeria has taken things a bit left-field circa 1989 with a bold, adventurous look, and no doubt young kids everywhere will be adopting a second team based on their newfound favourite jersey. It doesn’t get much more iconic than Brazil’s World Cup Kit from the 1970 tournament in Mexico. More memorable as it was the first time the World Cup was televised in colour giving aesthetic substance to match the scintillating football played by Pele, Jairzinho, Gerson and Rivellino in what is widely considered the greatest football team of all time. World Cup 1970 was also notable for being the first time yellow and red cards were used. It’s the yellow, blue and green colour combo that sticks in the mind here, however. Four years later in West Germany, Zaire became the first Sub-Saharan African team to qualify for the World Cup. Finding themselves in a tricky group that included champions Brazil, they lost all three games including a 9-0 defeat to Yugoslavia. However, they certainly didn’t lose in the style stakes, with one of the greatest kits in World Cup history. It’s a genuine thing of beauty, with its bold print of a Leopard reflecting their nickname and perfect colour scheme. Ok images of this kit might turn most English fans stomach after the infamous ‘Hand of God’, it was a tournament that was packed with incident and iconic imagery and maybe that’s why this kit is so memorable. With its pale blue and white vertical stripes with a taut round neck collar, and a protruding national badge, this Le Coq Sportif number is pure retro style. Stick it on the body of the most mesmerizing footballer of all time and you have lift off. At the 1990 World Cup, England who fell so agonisingly to the hands of Maradona four years earlier sported one of their most memorable kits. This Umbro design featured a dark blue collar and a subtle off white chequered pattern across the main body of the shirt. The sleeves featured a diamond trim, with similar embellishments on the shorts. Of course, in terms of iconic kits, Bobby Moore in deep red, trophy aloft, takes some beating, but this 1990 version is probably England’s best kit closely followed by the ’86 version. Plus the latest technology enabled it to soak up Gazza’s tears with ease. This is just a classic international football kit, made by Hummel with its higgledy-piggledy mish-mash of pinstripes and arrows and alternating colour scheme, it heralded the birth of a new era. 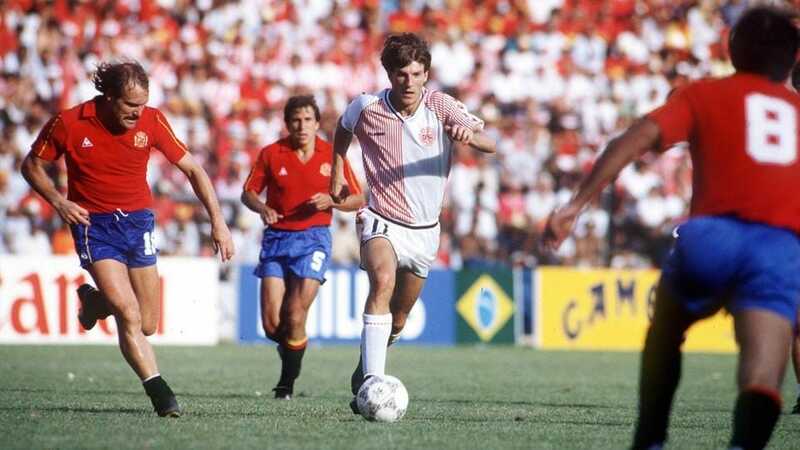 Later adopted by Aston Villa and Southampton to less success, this daring kit matched the displays of its owners with their attacking flair seeing them described as “Europe’s answer to Brazil”. Either way, this shirt is a must for any retro kit enthusiast. 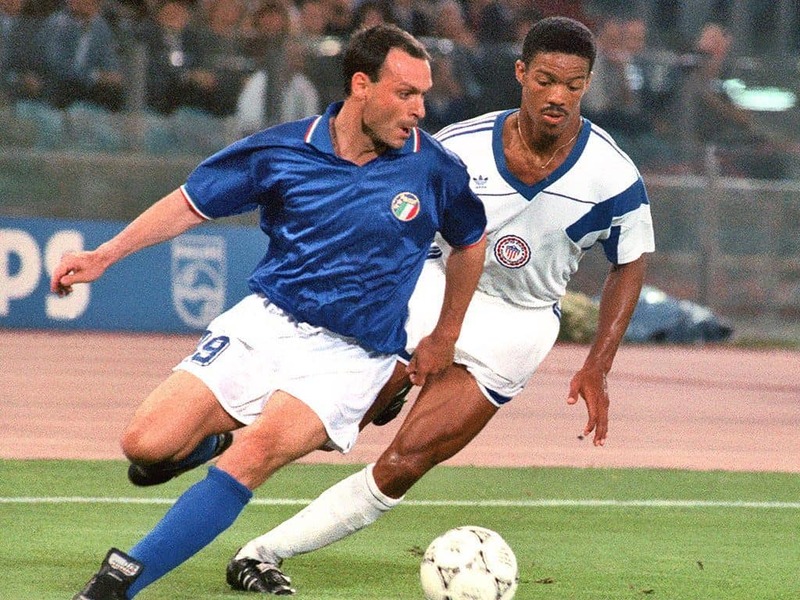 Italy’s World Cup kit from 1990 is memorable for so many reasons, the iconic tournament played to the sounds of Nessun Dorma was truly a spectacle for the ages. Whether it was the emergence of a weaving magician named Baggio or the cultish capers of Salvatore Schillaci, the accompanying kit was a lesson in sartorial sporting subtlety. The shiny blue shirt with the national colours on the trim of the sleeves and collar, mixed with trad white shorts and plain blue socks was befitting of the team’s proud performances. Okay, the memories verge on the painful, as hard to swallow as an unchewed bite of an apple. The nerve-shredding semi-final that ended in penalty shootout heartache and the first time many young footballing fans had seen not just one but multiple grown men cry like a newborn baby eager for its mother’s milk. 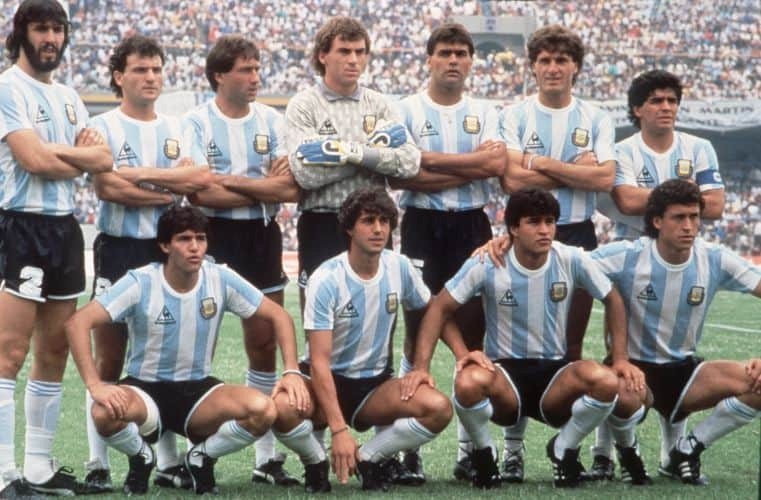 1990 really was one of, if not the greatest World Cup of them all. 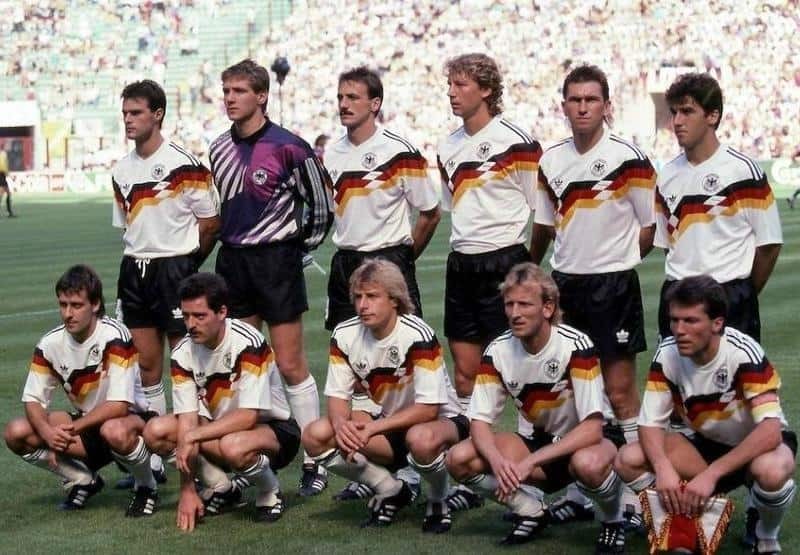 And perhaps fitting that eventual winners West Germany sported an equally iconic football kit. A team that traditionally only wore black and white now had a blast of national colours emblazoned across the chest. Adidas nailed the design in what has become a timelessly cool, iconic shirt. 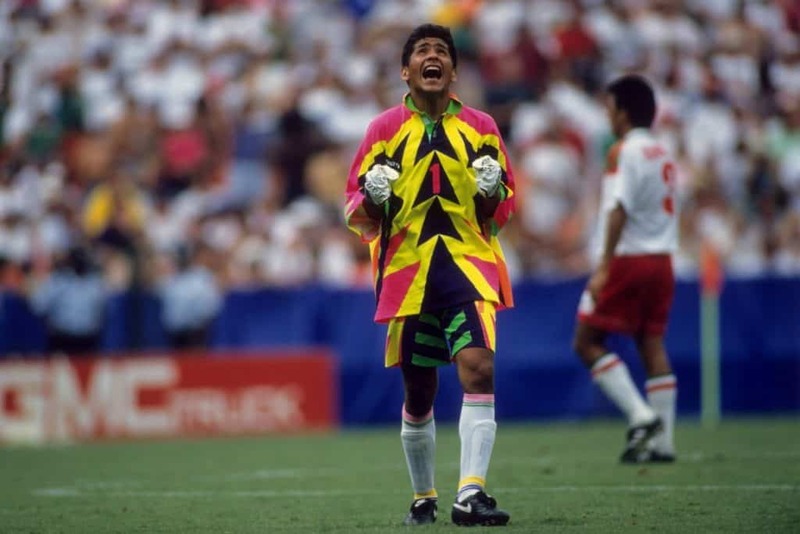 Closer inspection of Mexico’s 1994 goalkeeping jersey, sported so memorably by the appropriately madcap Jorge Campos, actually raises questions as to whether this actually should belong in the classic camp. Looking like something a group of 4-year-olds with highlighter pens might conjure up, it’s a strangely comforting sight, however, in reality, and in contrast to Umbro’s typical and classic approach to kit making this bonkers top just warrants a mention. 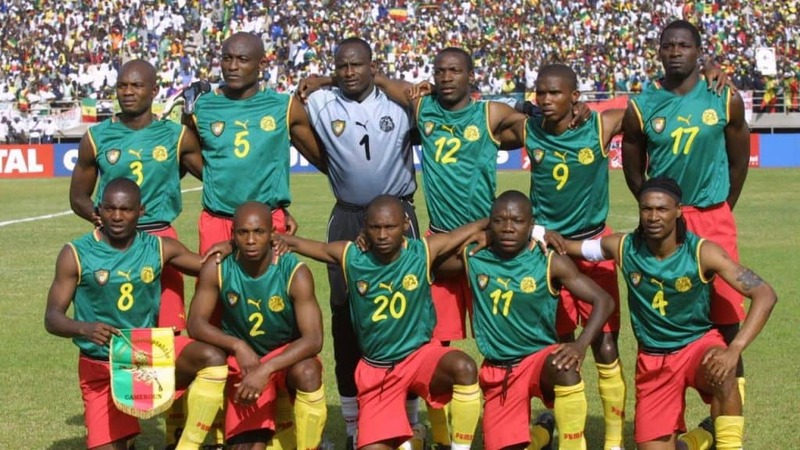 Who remembers Cameroon’s sleeveless jersey from 2002? Like a sporting gillet, it was something that should probably never be seen on a football pitch again. To be fair to Cameroon, their 1990 version very nearly made the list with its bold and striking colour blocks and equally bold team. Are there any iconic football kits that you always wanted? Let us know in the comments section below.